Welcome to Patti Powell community choirs. You have a beautiful voice and we can't wait to sing with you. CHOIR IS STARTING UP IN MID-LATE APRIL! 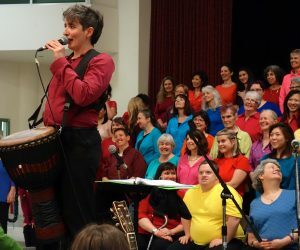 Message from Patti: Hello singers! 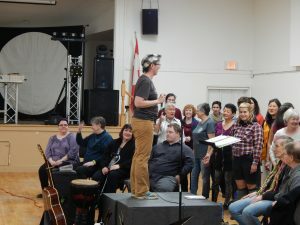 I have healed enough from my bicycle injury to get back into teaching and leading singing! The shoulder is not yet fully healed, but enough to do choir part-time. I decided I could do 2 choirs per week, and not 4, but did not want to cancel any of the choirs - hence, my solution is to do each choir every 2 weeks! You'll see the schedule below under each choir's heading. If you want choir every week, you can join 2 choirs (or 3, you crazy kids! I won't stop you!). Register below. Concerts this term: For the Acapellaboratory, Choral Conspiracy and All Voices Vancouver, we will be singing for joy, and not be doing a concert this June, but rather have a party in a park. Proposals are welcome! Sites need to be accessible to folks with mobility difficulties. Date TBA! 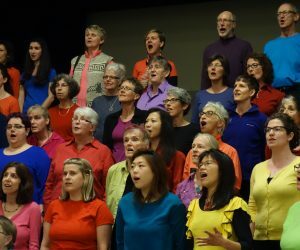 For the New Westminster Community Choir, we have an invitation to sing for National Aboriginal Day on Saturday, June 22nd at St. Barnabas' Anglican Church. In order to sing with us you DO have to sign up, either online using the email link included below for each choir, or in person on the first night (or morning) of the session. 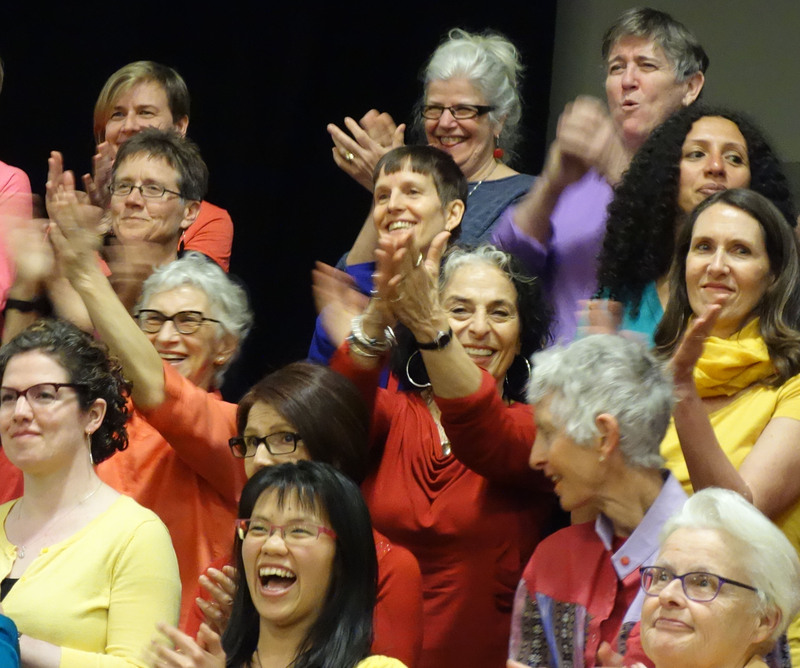 Although you can register for a choir session in person, it will make the lives of our volunteer organizers way easier if you register ahead. So if you feel ready to sing, please beat the rush and sign up NOW! When you join any of the choirs you will have access to teaching tracks and lyrics for your own reference and use, once we start rehearsals. IF YOU ARE new, follow the links to register for Website Member Access. If you have registered to access our website resources in a past session, you will NOT have to do that again. If you are having trouble registering for the website, contact Gini at vksalter@gmail.com. You can pay registration fees in advance by sending an e-transfer to info@pattipowellchoirs.com, or in person by cash or cheque. For more information, please read the FAQ. Thank you! Dates: Apr. 17; May 1, 15, 29; and June 12 & 26th. Dates: Apr. 23; May 7, 21; June 4, 18, 25th. Dates: Apr. 25th, May 9, 23rd, and June 6, 20 and 27th. and an outdoor concert on Saturday, June 22nd!